Defending champion Roger Federer saved two match points in a final set tiebreak before defeating Benoit Paire 6-3, 3-6, 7-6 (7) in a thrilling contest to reach the Halle Open quarter-finals on Thursday. 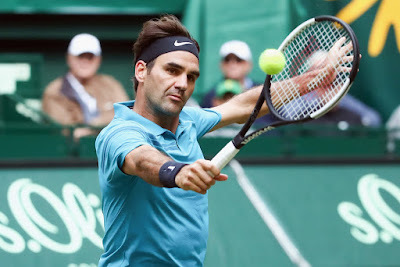 Federer, who must win a record-extending 10th title in Halle to remain at the top of the world rankings, dropped a set for the first time in six meetings against the Frenchman as the pair fought out a gripping two-hour duel. "You need to take the right decisions along the way," Federer said of the dramatic tiebreaker. "You need some luck also, I guess. "It was a tough match and I played at good level actually. He served well and was hard to break. It was always going to be tight. At the end it was extremey close, I was fortunate to have made it today." The 36-year-old Swiss extended his winning run on grass to 18 matches as he continues a serene build-up to his title defense at Wimbledon next month. Federer held his nerve to avoid another third set tie-break loss this year. 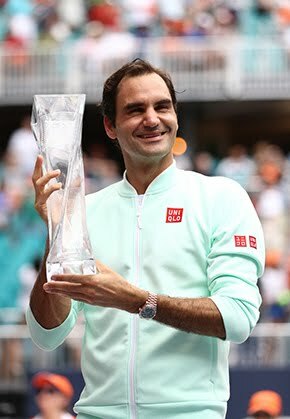 In March, he lost to Juan Martin del Potro 6-4, 6-7 (8), 7-6 (2) in the BNP Paribas Open final and at the next ATP World Tour Masters 1000 tournament, he fell to Thanasi Kokkinakis 3-6, 6-3, 7-6 (4) in the Miami Open second round. Regaining his composure after the 27-minute opener, Paire saved two break points in the opening game of the second set and the used his backhand to move Federer around the court and take a 4-0 lead in 19 minutes. Paire came within two points of leading 5-0, but later at 30/40 Federer struck a backhand crosscourt winner to get one service break back. Paire held his nerve to win his first set against Federer and finished with an ace. While Federer served first in the decider, he continued to shake his head as Paire didn’t give him any rhythm. Paire was left frustrated on Federer's serve at 3-3, when the wrong shot choice cost him at 30/30 and he later saved two match points from 15/40 at 5-6, with big first serves. Federer has a 61-6 match record in Halle, including trophies in 2003-06, 2008, 2013-15 and 2017. 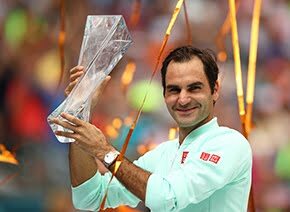 With three pieces of silverware to his name in 2018 - Australian Open (d. Cilic), ABN Amro World Tennis Tournament (d. Dimitrov) and last week’s Mercedes Cup (d. Raonic) - the 36-year-old Swiss is 23-2 on the year.